Since the beginning, many marketers have wondered about the effectiveness of mobile advertising. Is it worth the ad dollars? According to a new study, mobile devices are playing a huge role in product and brand discovery more than laptops and desktop devices and the impact of mobile ads is growing. The “Mobile Audience Insights Report” released by NinthDecimal took a look at data it collected in Q3 and Q4 of 2014. The report highlights several potential game-changers for physical stores and the future of mobile ads. While mobile stats shouldn’t surprise anyone, it reiterates the necessity for marketing campaigns and budgets to better reflect customer behavior in the marketplace. The share of mobile purchases grew at the expense of in-store purchases; desktop purchases remained the same. 54% of customers used a mobile device to shop for products in 2014, a 59% increase from 2013 (34%). 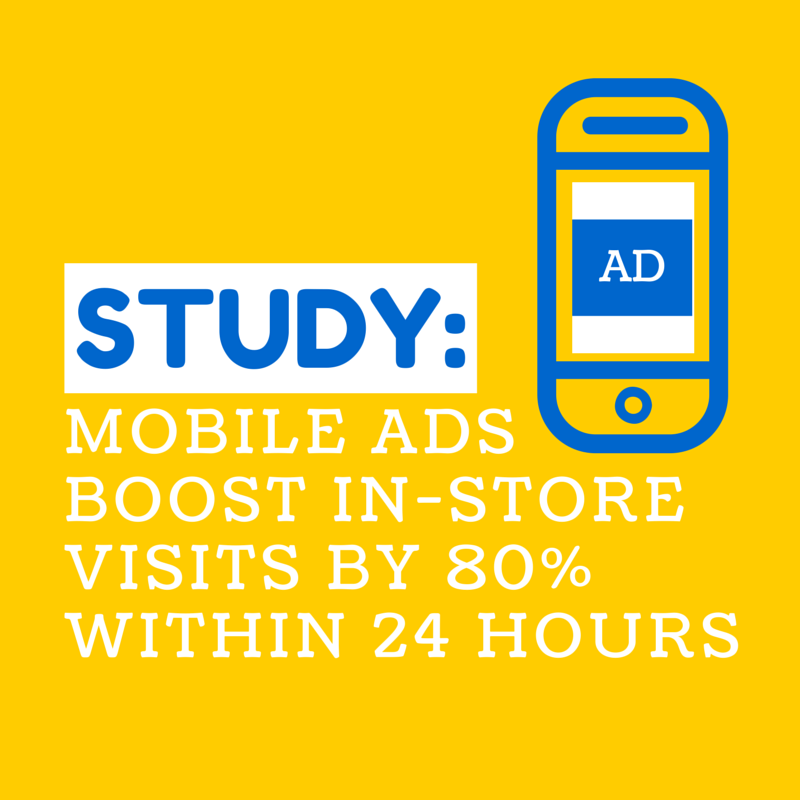 In-store visits increased 80 percent within 24 hours of mobile ad exposure and stayed above average visitation benchmarks for the following six days. While the study could not conclude the creative layout for these ads, they study mentioned that these customers were most likely looking at offer-based ads. The most interesting finding: mobile ads and location proximity. Retail mobile ads performed best when served between zero and five miles from the store location. CPG (customer packaged good) ads did best within two miles of the store location and QSR (quick service restaurant) ads performed well farther out, up to twenty miles from a designated location. NinthDecimal also looked at the types of campaigns that deployed by various industries and verticals. 57% of advertisers delivered offer-based mobile ads. Cross device marketing remains critical and studies like this add to the pool of customer research urging marketers to rethink and reprioritize mobile efforts over the desktop variety. What are your thoughts on this research? Click here to view the full report from NinthDecimal.